Keeping your vehicle in tiptop shape requires plenty of professional insight, know-how, and experience. That’s why the team at Performance Nissan has armed our state-of-the-art service facility with a squad of highly qualified mechanics who know how to keep every inch of your vehicle performing smoothly. From basic checkups to emergency repairs, and everything in between, our technicians will work hard to get every job done right. That way, you can soar along the roads of Pompano Beach, Ft. Lauderdale, and Boca Raton, Florida, knowing that your car can handle anything thrown its way. Ready to learn more about how we can help you? Let’s get started! When it comes to automotive repairs and maintenance, it pays to be sure that you’re consulting a skilled professional. Luckily, we’ve stocked our service facility with a team of experts who can properly diagnose, treat, and repair your vehicle. Plus, each of our mechanics offers up plenty of understanding in how Nissan automobiles work. 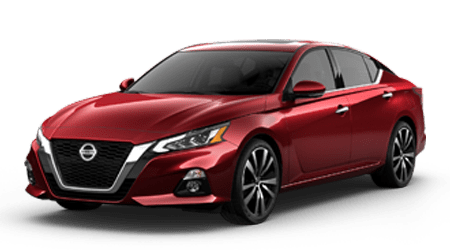 Thanks to their knowledge, you’ll feel confident that your Nissan Rogue, Nissan Altima, or any other type of vehicle is being administered to with the right procedures and tools. At our Nissan Service Center, we believe that every vehicle should be repaired using advanced tools and genuine parts. That’s why we service each automobile with the equipment needed to get your auto service near me done right. All in all, our goal is to ensure that your car sails down the road with top-notch performance once you’ve left our shop. In addition to our selection of in-house parts, we provide you with the option of shopping for the items you need from the comfort of your own home. Simply visit our parts order form and complete the fields with information about the part or accessory you want. Once it arrives at our center, we’ll reach out to you to let you know. From there, you can opt to install the item yourself or have one of our trained technicians do it for you. To make preserving the health of your automobile even easier, we’ve designed a handy, online service scheduler, which allows you to quickly reserve your next appointment. All you have to do is fill out the fields with your information and submit. After that, our staff will reach out to you to confirm your reservation. On top of that, we offer up a library of ever-changing service specials which can help you score a discount during your next maintenance checkup, repair, or replacement. Take advantage of these exclusive incentives by scrolling through our specials and choosing the one that applies to you. Then, bring it with you to your appointment, and our team will honor the offer included. At Performance Nissan, we know how important it is that your vehicle remains by your side and prepared to face down any adventure near Pompano Beach, Ft. Lauderdale, and Boca Raton, Florida. And with the unwavering dedication and support of our accomplished mechanics, you’ll continue down your path inside a healthy automobile. To get yourself suited up with trustworthy car repairs near me, don’t hesitate to stop by our service facility or schedule your appointment today!